Lighting Controls for Easy Installation and to Maximize Energy Efficiency. 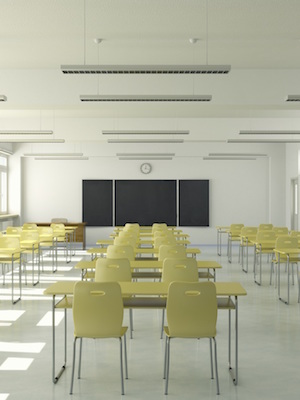 Often accredited with setting the pace for innovative solutions to energy savings, schools of all shapes and sizes throughout North America have looked to Douglas Lighting Controls to create easy to use lighting control systems to reduce energy consumption and to provide for a comfortable environment. Traditionally, Douglas Lighting Controls has provided centralized lighting control systems throughout schools; however, with the need for more specific control in certain areas, the standardization of classroom configurations, and the need to reduce long wiring runs, Douglas has the developed in now offers a decentralized stand-alone room control solutions. Now projects can take advantage of the benefits of centralized and decentralized systems to support the growing needs of modern educational facilities.